Exclusively Ours! 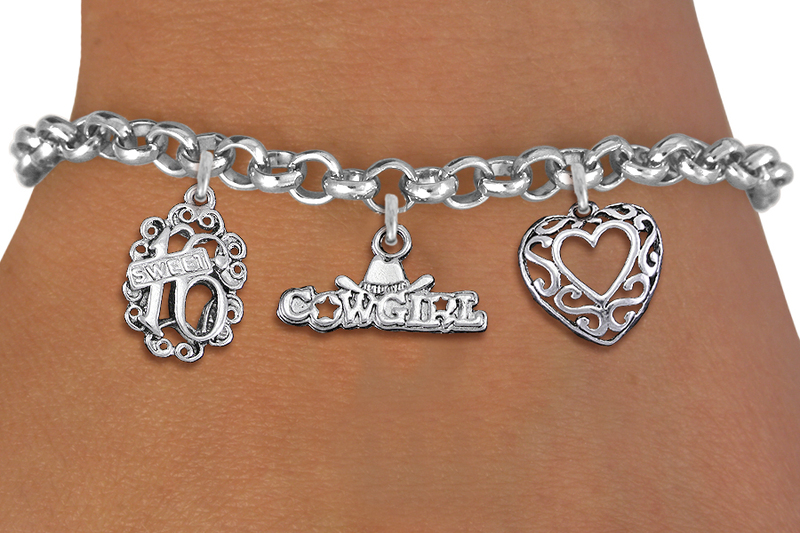 Lead & Nickel Free Sweet 16 Themed Charm Bracelet, Has Silver Tone "Sweet 16" Charm, "Cowgirl" Charm, And Fancy Script Heart Charm. Comes On A Silver Tone Lobster Clasp Bracelet. 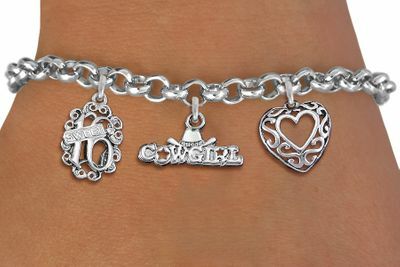 Great Gift For That Special 16th Birthday Cowgirl.